EYW I: Engineering Design & Analysis engages students in authentic engineering practices and inspires them to embrace an engineer’s habits of mind. 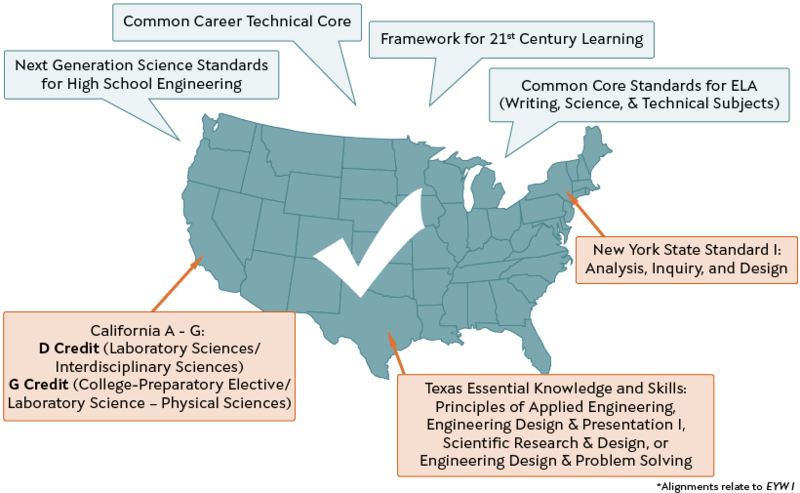 Collaborative, student-directed projects build resilient problem-solving skills and empower students to think like engineers, to adopt engineering processes, and to pursue engineering disciplines for the betterment of our world. Students discover the design process by creating solutions for people with disabilities. They reverse engineer a consumer product to think about how someone else designed it – and how they could do it better. Students uncover the challenges and opportunities of working together to collect, analyze, represent, and argue from data. They use these skills to redesign a building for human safety. 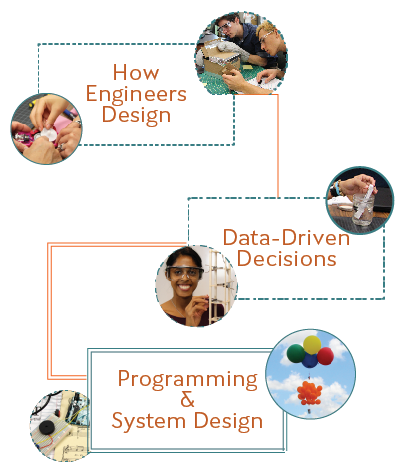 Once students know how engineers design and how to make data-driven decisions, they are ready to apply these abilities, along with basic coding skills, to design more complex solutions in a systems engineering capstone challenge. For more details, request a detailed course description and access to a sample lesson. or access to a sample lesson?